Professional Photo Touch Up Software. How to Touch Up a Photo. Pictures capture wonderful moments. No wonder humans love to take pictures. Taking pictures is fun, right? You just point the camera lens and then shoot. Usually, the photos look fine if you know the right angles and settings. What happens if you don’t? Chances are your pictures look blurry and disoriented. For images that need total enhancements, you need help. Use a professional photo touch up software to improve the quality of your photos. Try using Softorbits Photo Retoucher as your ultimate photo enhancement tool today. Before you start, spend a few minutes jotting down what you hope to achieve. Create a backup copy of all original photos. Then, choose which photos need touch up. After that, study the picture closely. See what needs to be improved. Do you need to work on the red eye issues? A photo utility such as SoftOrbits Photo Retoucher is easy to use. If it is your first time to learn how to touch up a photo, then this is the perfect tool just for you. It helps you fix minor and major errors in your pictures. 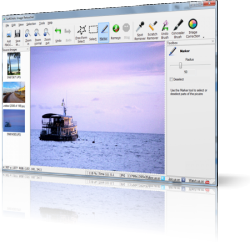 It is a reliable, affordable, and high quality photo touch up software. Aside from red eye effects, you may also focus on blurry areas. Using a photo editing touch up software gives you more freedom to enhance your images. Blurry effects result from insufficient amount of lighting when you took the picture. To fix this problem, you should seek professional help or use an image enhancement utility such as Softorbits Photo Retoucher. This product allows you to create many digital photo touches up effects. You get to enjoy more creative freedom while applying effects on your photos. It is an affordable, reliable, and first class photo retoucher in the market today. You can always get technical support anytime should you have any concerns and complaints about this product.